There are many ways to share an experience, thanks to technology and a busy life. Letters were a thing of the past but then, aren’t we too discussing the past when we talk of forts, caves and ancient temples? This idea gave me enough motivation to write to you for after all, a personal connection is preferred and much suitable. I have had my fair share of fort camping and not one was mediocre! The whole experience of camping is wholesome – there is anticipation before heading out, a rush of adrenaline coupled with a bout of caution during the trek and nothing but total exhilaration once you’ve accomplished what you’d desired for. I had the opportunity to go for an overnight trek and camping at Tikona fort. 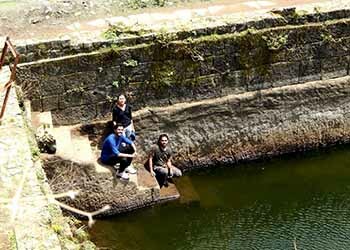 Tikona or Vittandgad as it is alternately known as, is located in the Maval region near Lonavala and is close to Tung fort, Kamshet and Pawna lake. The closest railway station is Talegaon but if you want a splendid view then it is best to travel by road. 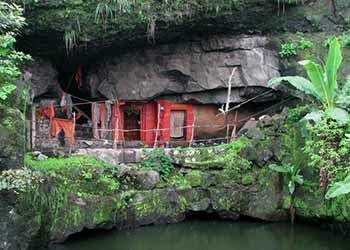 Tikona Peth is the base village for starting the trek and car parking is available. The information on the history of the fort is a bit hazy. It is believed that Shivaji Maharaj brought Tikona under his reign in 1657 along with the forts of Karnala, Visapur, Lohagad, Mahuli, Songad and Tala. It was surrendered to the Mughals during the Treaty of Purandar in 1665 and was seized back by the Marathas before they eventually lost it to the British in 1818. Phew! The top of the fort is in the shape of a triangle and hence the name Tikona. 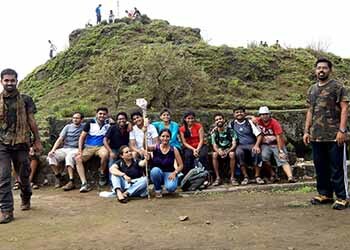 The ascent is pretty easy and the view from the top is splendid making Tikona one of the best trekking places near Mumbai. The trek lasts for about an hour and a half so we had begun our climb in the evening and managed to reach the top before dark. The climb is very easy and we came across many vendors selling, tea and kanda-bhaji which made the trek even more enjoyable! The top is flat and has ample of space for people to set up tents and a bonfire. One can carry a ready-made dinner from home if travelling without a trekking group. If you are trekking with professionals such as Small Steps Adventures then be rest assured about your hunger pangs! We rested at the top for a while and started setting up our tents before the darkness took over. Once the tents were set up, we freshened up and enjoyed our meals. It was then time for some bonfire magic with stories, old songs! Some of us detached ourselves from the gang and moved a little away from the light to focus on the starlit sky. It was one of those rare opportunities that we did not want to miss. The night sky has a soothing effect on troubled hearts and minds as if singing a silent lullaby which is not heard yet felt. We surrendered to the peace and let it enter our hearts promising us a better tomorrow. . . The next morning saw us waking up with a thin veil of winter mist around us. The sun was yet to rise and we moved to a good spot so that we wouldn’t miss the sunrise. The sun started appearing slowly, like a globe of molten gold, determined to rise after every night. When I reflected on it metaphorically, it sent me a message of not giving up as the darkness in our lives will one day be dispelled by light. With my heart full of motivation by the experience, we prepared to descend to the base, locking up the fun, mirth and the takeaways deep inside our beings. . .